Your resource for all things shoegaze and dream pop: New Video: Narcloudia | Tracy + Debut LP. New Video: Narcloudia | Tracy + Debut LP. 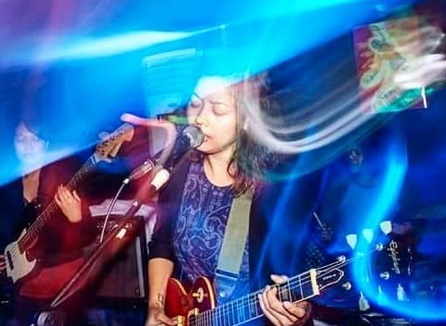 The wonderfully ethereal “Tracy” opens Day-Blind Stars, the just-released debut full-length from Philippines-and-Singapore based trio, Narcloudia (now there’s a band name we can get behind). The track is available for free on Bandcamp, where you can also buy the full digital album, praised effusively on Scout. This video fits a particular type of taste. Definitely not an all-rounder. NEW SINGLE PREMIERE: Black Sea | Low Life. INTERVIEW: Raffaella and Marcus of etti/etta. WTSH airs TONIGHT on DKFM! 10pm ET. VIDEO PREMIERE: We Are Parasols | Hold Me Fire.